Toly continue to add new airless dispensers to its extensive portfolio. The T-20 line is available with different applicators. One with a spatula tip for easy dispensing another with a roller ball to enhance a cooling effect and a simple pump type. 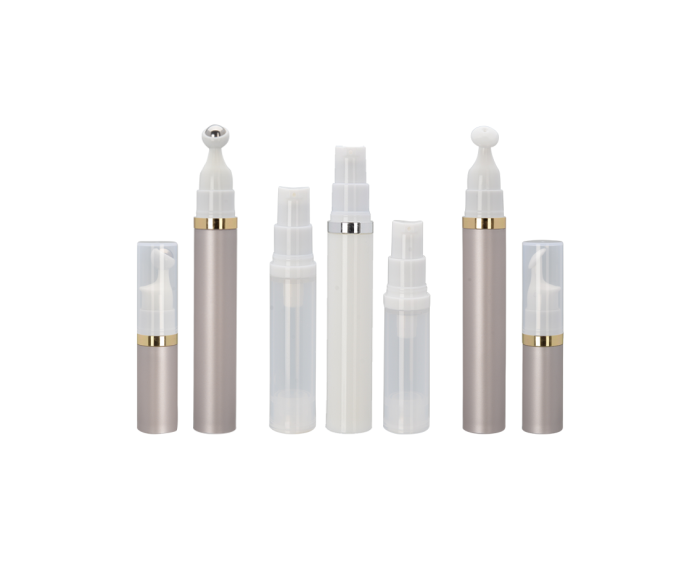 The single wall airless dispensers are available in 5ml, 7ml, 10ml and 15ml. Toly's manufacturing facilities are able to offer a wide range of decorative techniques that can be suited to fit your brand's demand.